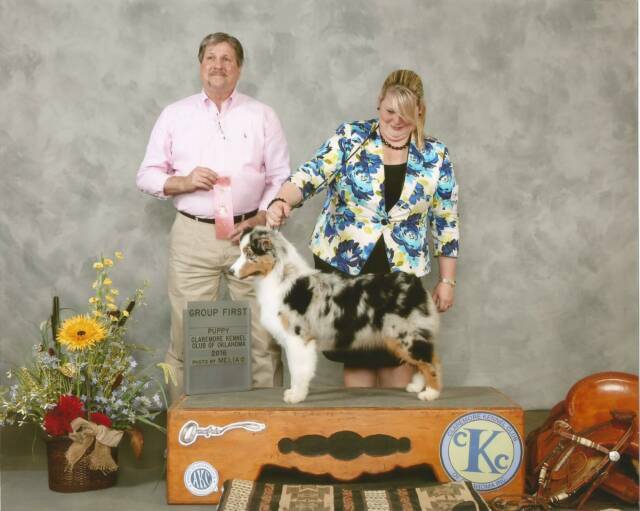 AKC/ASCA LHT IMA FOXY LADY "FOXY"
Autumn has some big paws to fill. 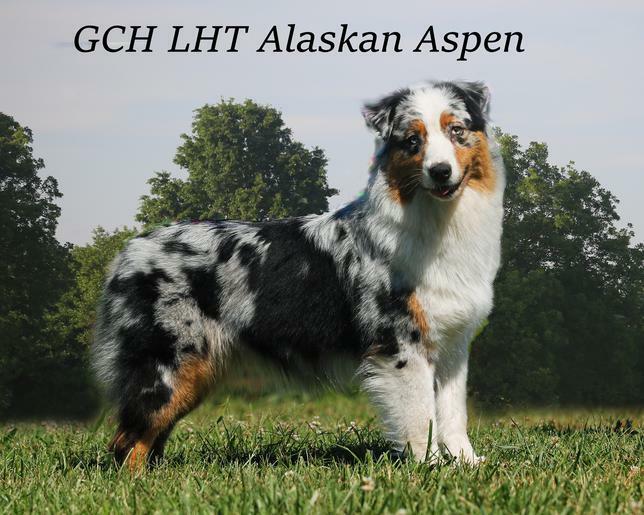 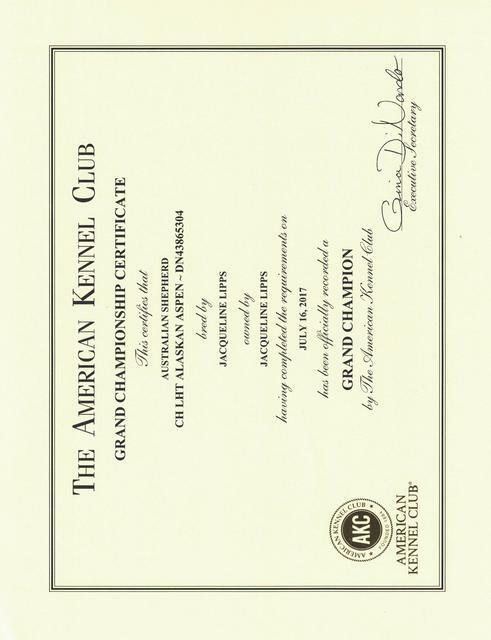 She is the only daughter of GCH LHT Alaskan Aspen. 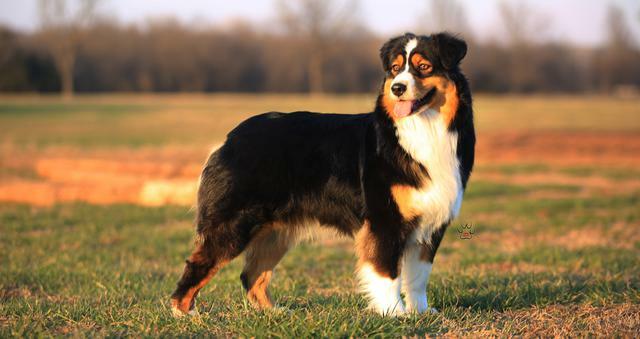 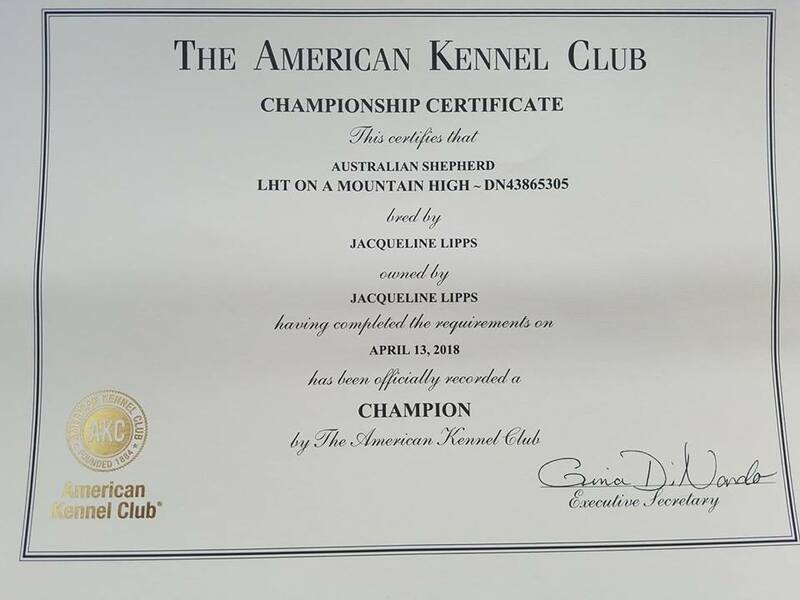 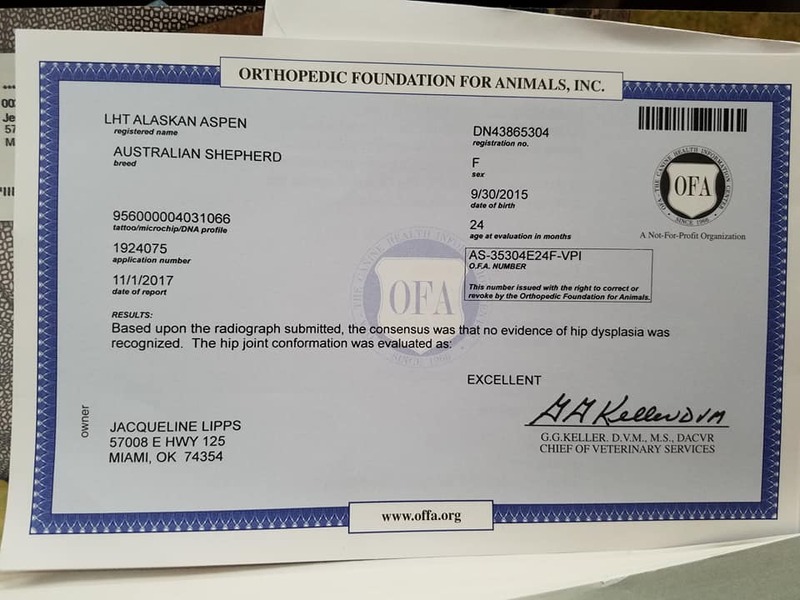 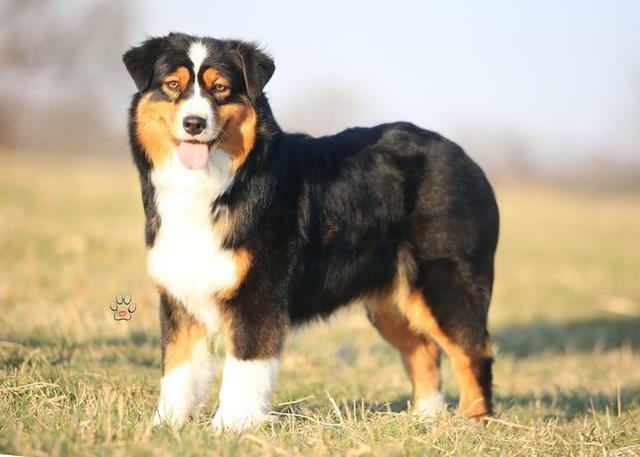 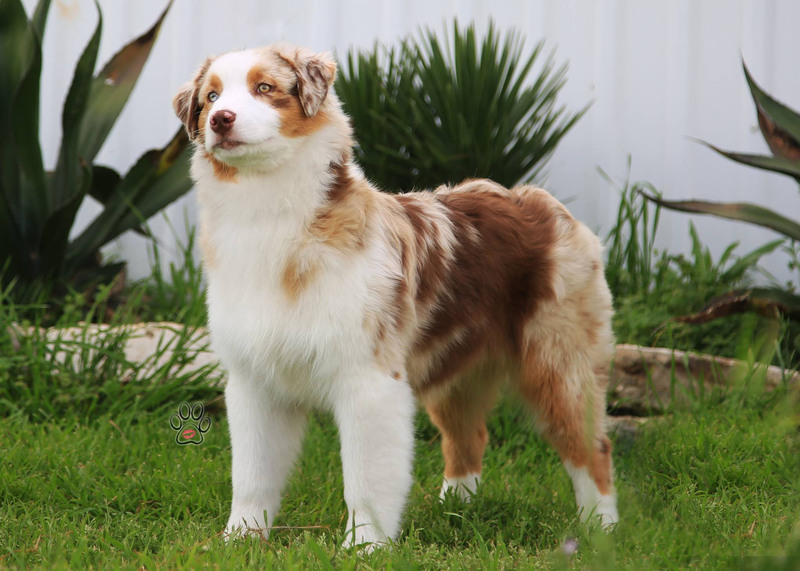 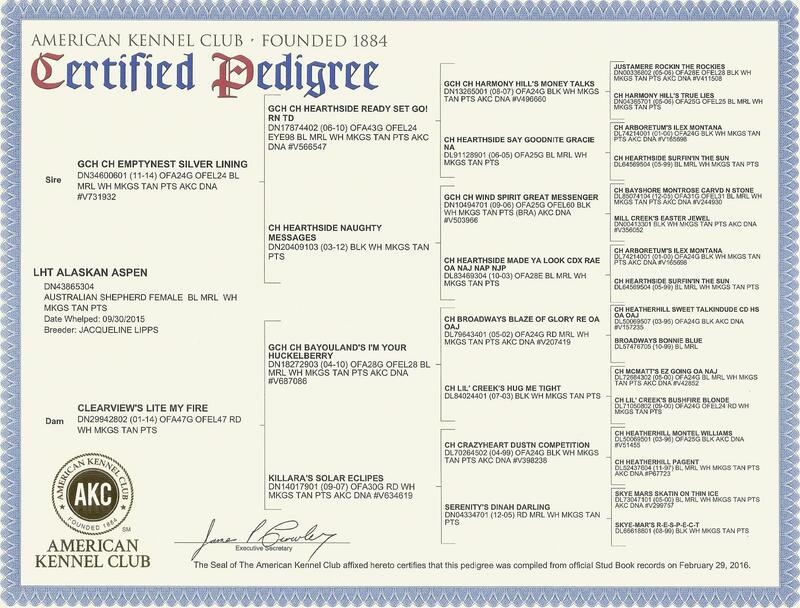 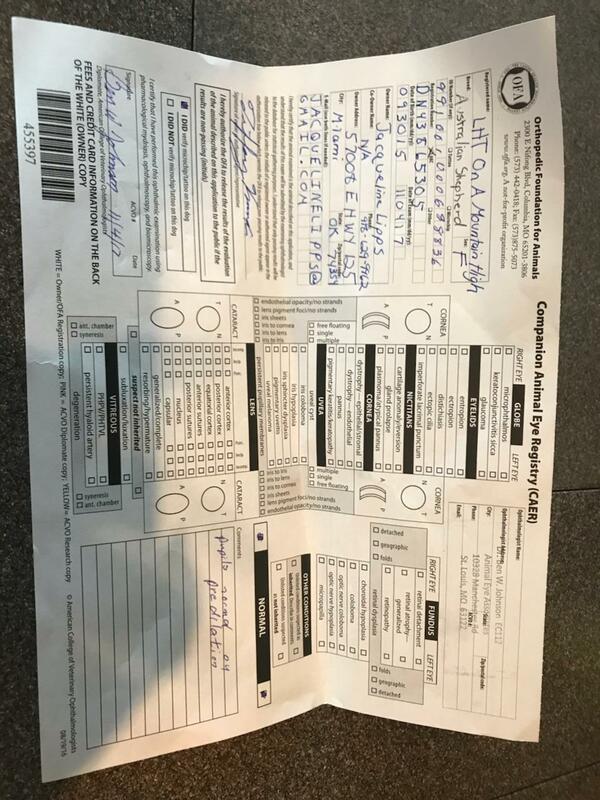 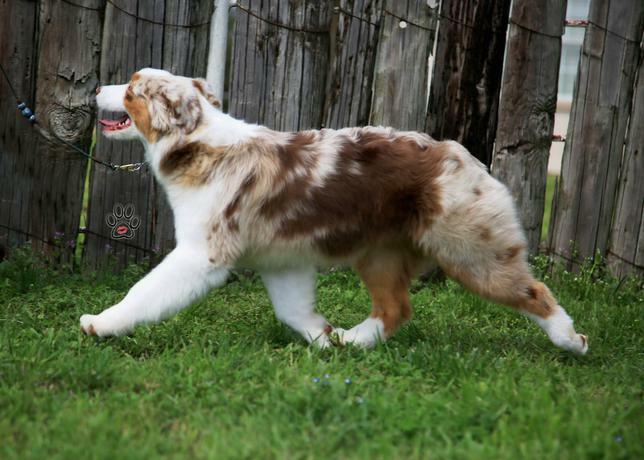 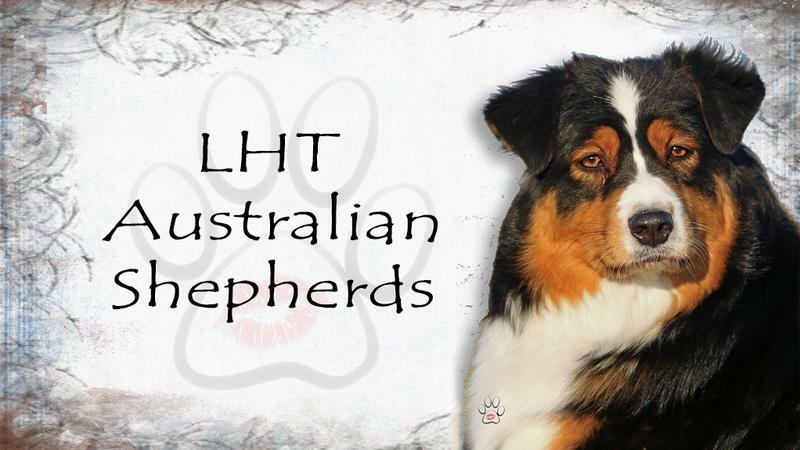 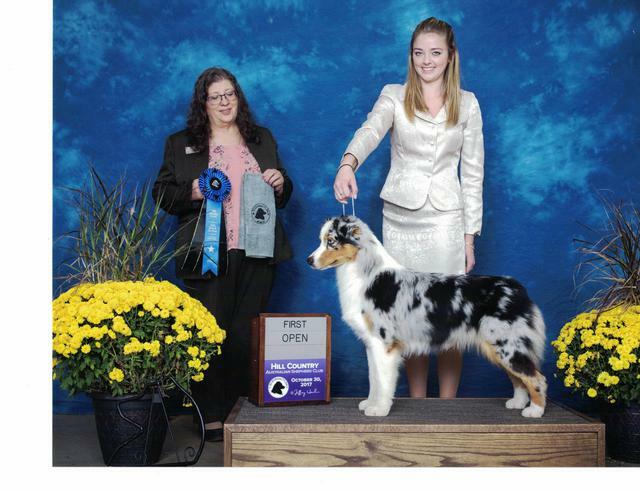 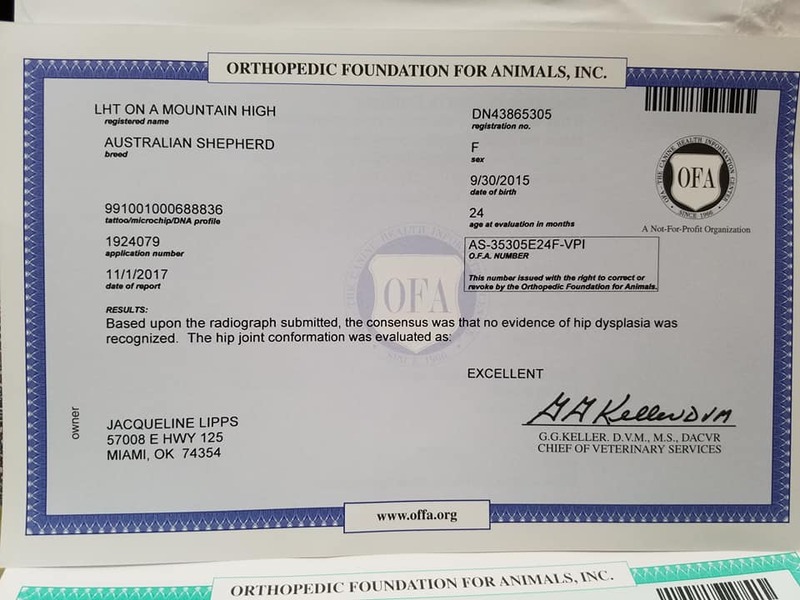 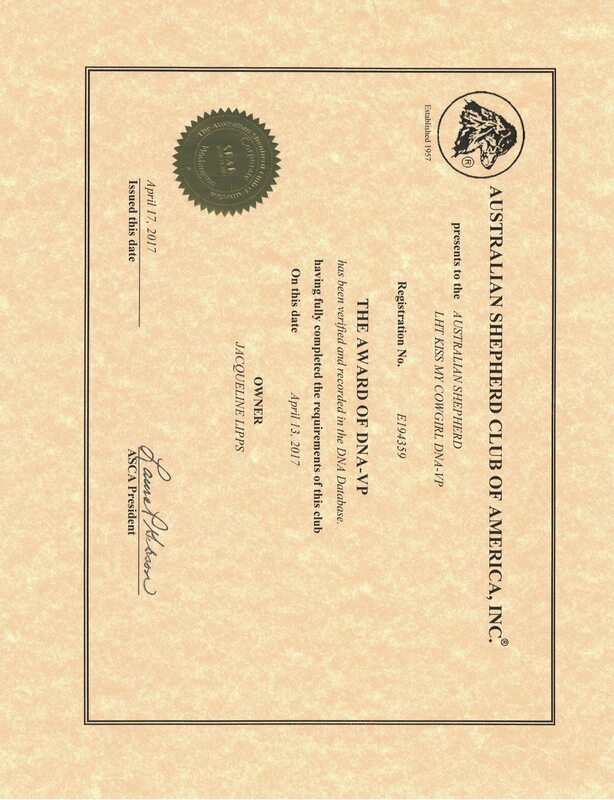 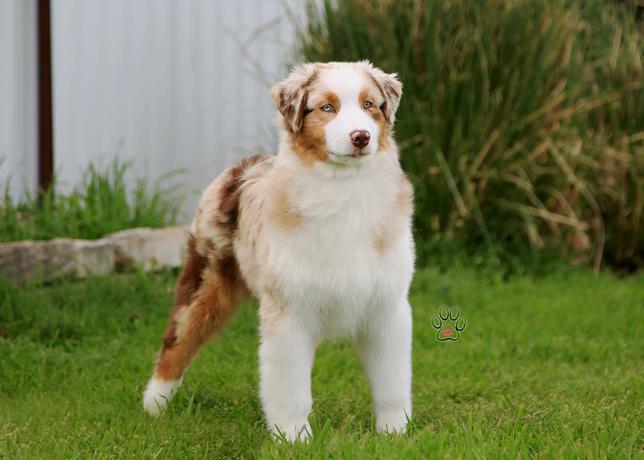 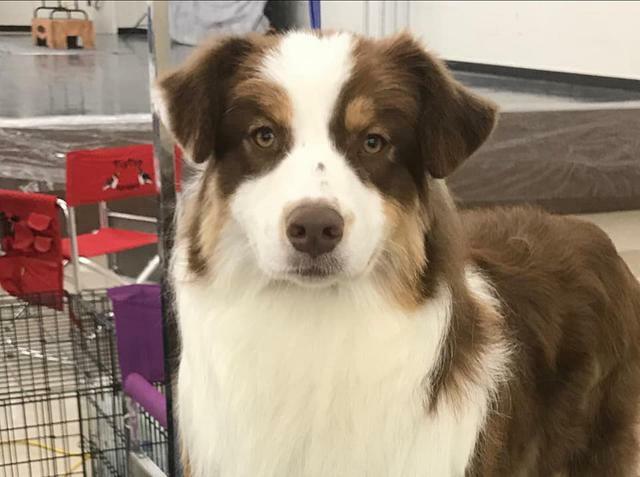 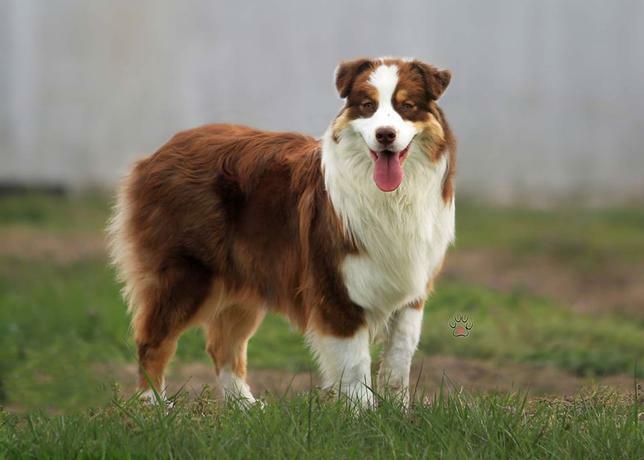 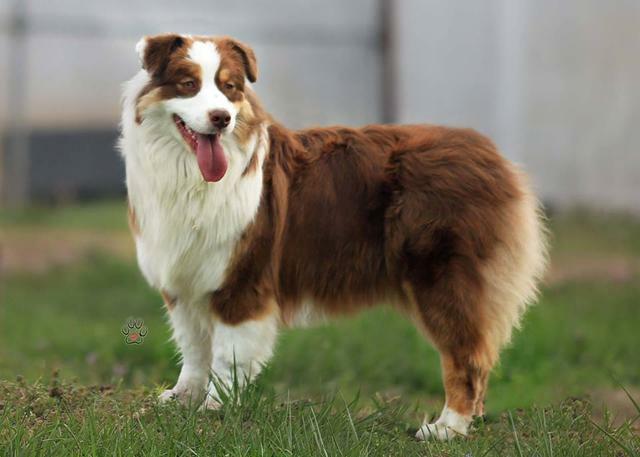 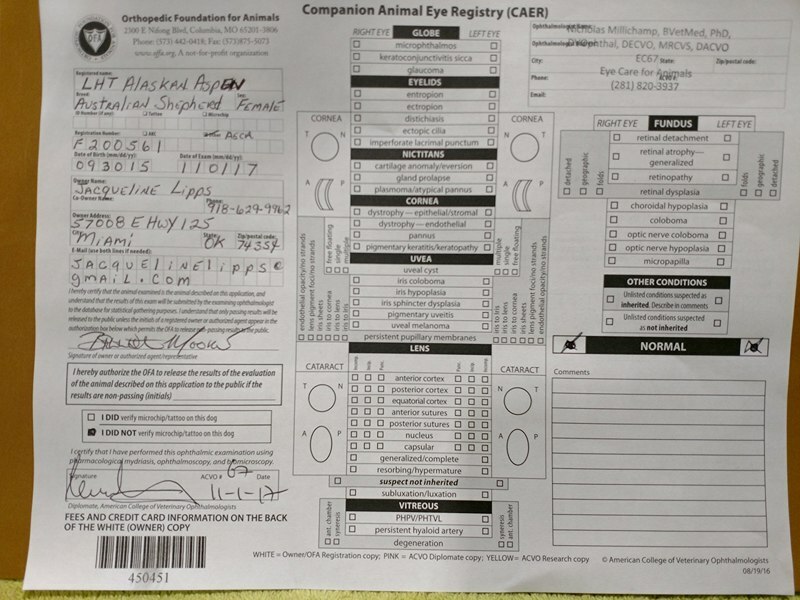 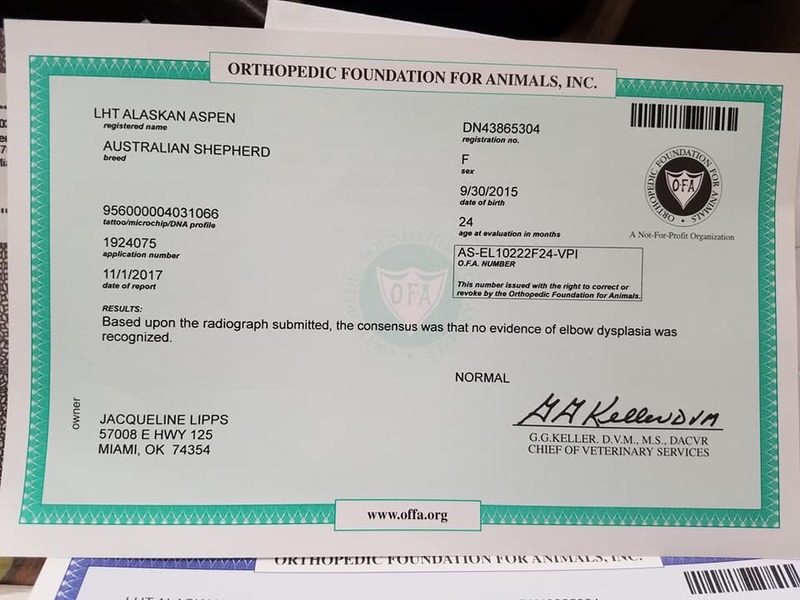 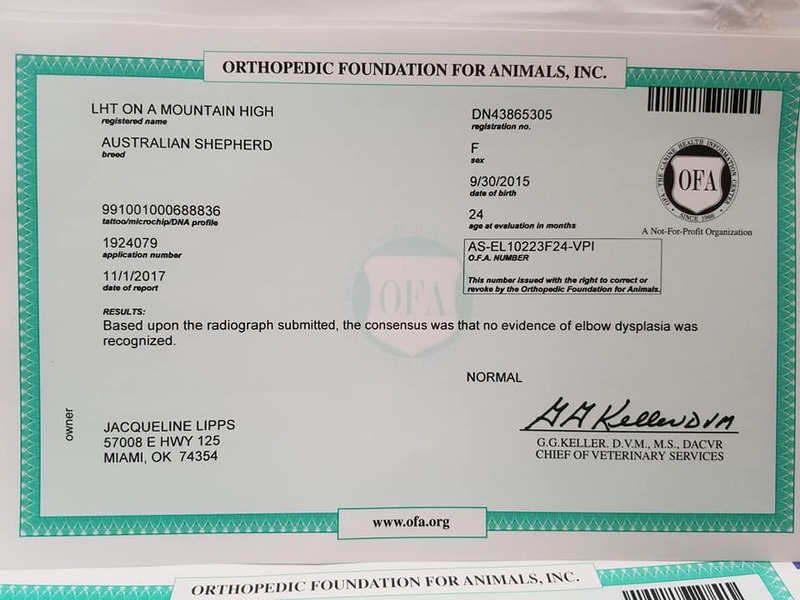 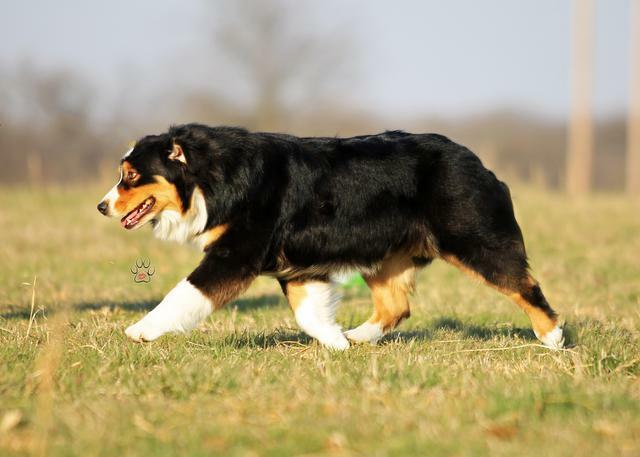 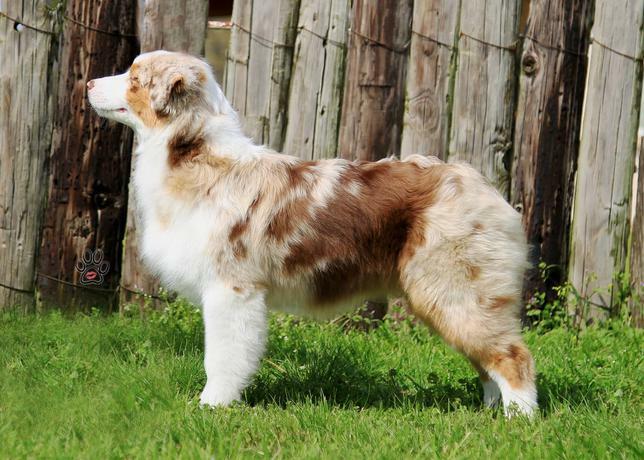 Aspen passed away unexpedetly shortly after welping her 1st litter that was sired by MBIS MBISS GCHP Silverwood's Kiss of Fire at Limelite (2018 AKC #1 Australian Shepherd All Systems). 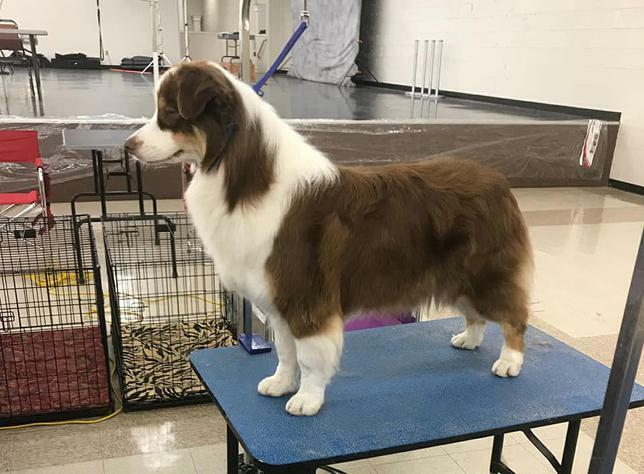 She starts her show career in April 2019. 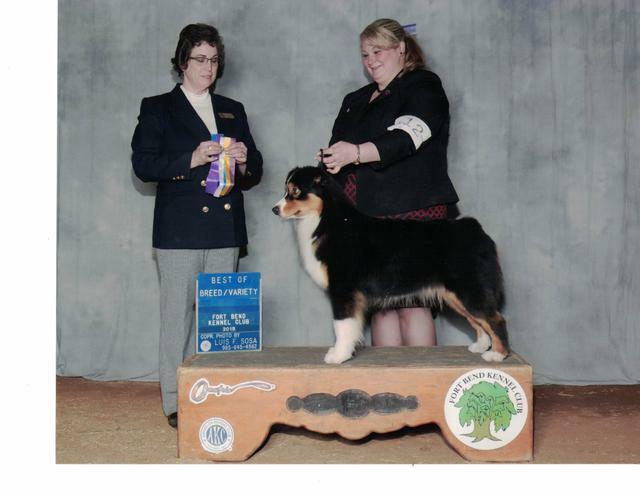 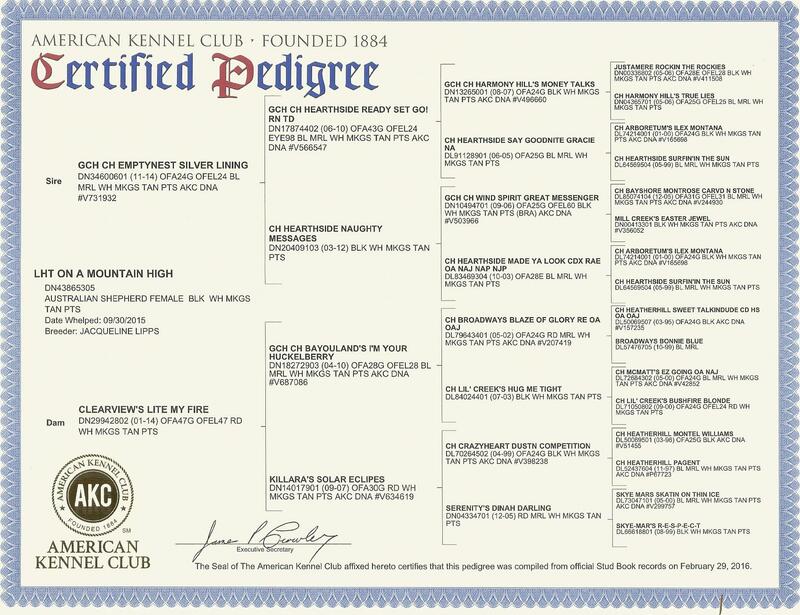 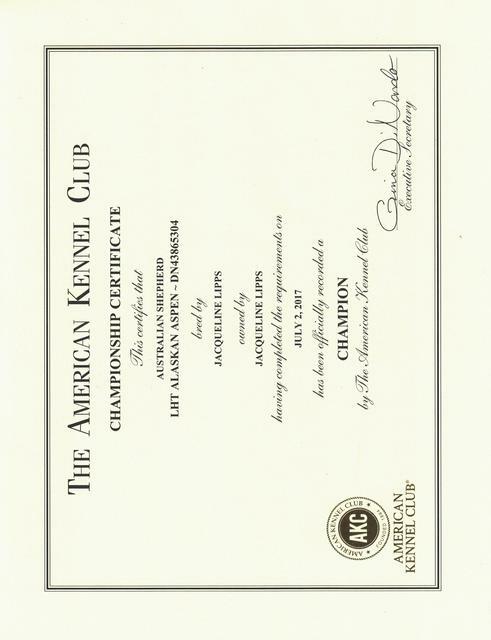 AKC/ASCA AKC CH LHT On A Mountain High "Denali"